Receiving and Package Tracking Solutions for Hospitals and Healthcare Organizations. At Vuetura, we’ve been busily blogging for a while now, writing about a variety of topics, focused primarily on tracking software. A typical blog post could be about anything from a topic like supply chain intelligence or even an industry like receiving and tracking software for healthcare. Each of the posts below contains valuable insight— more specifically, insight into the world of receiving and package tracking solutions for the healthcare industry. We hope you enjoy these posts and that you find them to be valuable, too. If your hospital is using an inbound package tracking system, you already know the many benefits it brings to your receiving and delivery department. Not only will it considerably increase your department’s accuracy, productivity, and accountability, but it will save your facility a mountain of time, money, and frustration. If you are not using a modern system like this, this article outlines six ways that your hospital could benefit from implementing one. Have you considered bringing your facility’s receiving and delivery department into the digital age? This post explains just a few of the reasons why your receiving department should be just as technologically advanced as your health records. This post outlines just a few reasons why your facility would benefit from an updated package receiving and tracking system. Time is precious in the ER, so what can your facility do to get more of it? 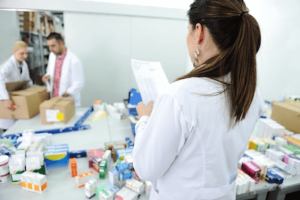 When your staff spends valuable time tracking down vital shipments of supplies or medications that can mean the difference between life and death, you’re wasting time that could be better spent on patient care. We’ve listed some of the ways that an automated receiving and delivery system will improve your ER’s efficiency, freeing up staff to take care of the people who truly matter: your patients. As the costs related to healthcare rise, healthcare facilities are under increased pressure to decrease their spending as they improve patient experience. One quick, surefire way to do this is to improve operational efficiency and reduce waste. Enter the automated receiving and delivery system. Here’s a quick rundown of the ways that automating your receiving department will cut costs. Many facilities cling to outdated manual logs because they believe it’s cheaper than bringing in a faster, more modern automated receiving and delivery system. However, upgrading your receiving department can lead to a huge return of investment, or ROI. See how your facility will save with an automated receiving and delivery system. Having the ability to track packages is a critical part of ensuring that everything gets where it needs to go efficiently. Nowhere is this more important than in a healthcare facility, where a missing package can be a literal matter of life or death. 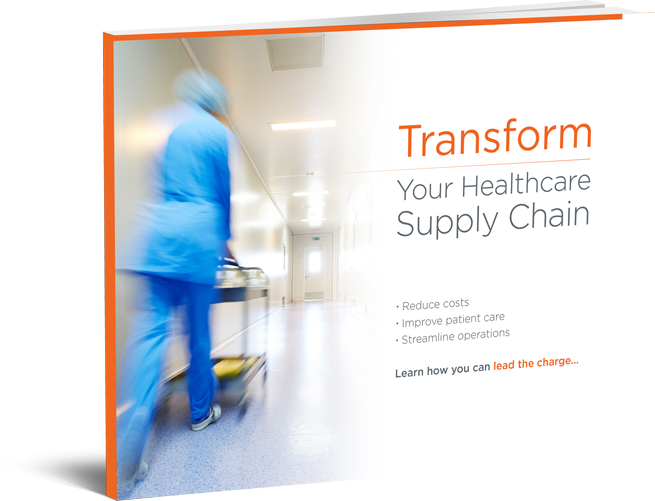 Learn more about how a trackable chain of custody will increase your team’s efficiency as well as improve patient care. A manual log can lead to late or even lost packages, which, in a hospital, is inconvenient at best or life threatening at worst. Failure to get the right package to the right place at the right time can jeopardize patient care, potentially interfering with a patient’s recovery. Automated package tracking will not only improve your delivery time but it will also save your department time and money. “Going lean” doesn’t mean that your hospital’s patient care has to suffer; instead, adopting an automated package tracking system will not only help you stop wasteful practices, but also streamline your team’s work and save a great deal of money in the process. It’s time to move past the old-fashioned manual log, but you’re not sure what features you should prioritize in an integrated order and package tracking system. A truly great automated package tracking system will not only allow you to save time and money, but it will seriously streamline your delivery process. Your patient care will improve as your processes become more efficient. If these posts have inspired you to learn more about Vuetura’s complete tracking solutions and the positive impact a state-of-the-art automated receiving and delivery system can have on your hospital or healthcare facility, allow us to show you what we can do!